Hydrolyzed vegetable protein, also known as HVP, is used to enhance the flavor of many processed foods such as soups, snack foods, veggie burgers, seasonings and more. Simply put, it's a "food filler" used in a multitude of vegetarian and organic goods, because it's considered a natural additive. Acid-hydrolyzed vegetable protein is created when cereals and legumes, such as corn, wheat and soy, are boiled in hydrochloric acid. The solution is then neutralized with sodium hydroxide. The resulting liquid is a breakdown of vegetable proteins into amino acids. 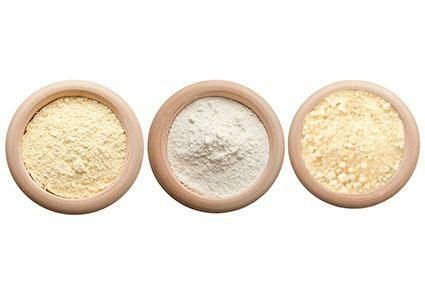 One of those amino acids is glutamic acid, a form of monosodium glutamate (MSG). So, while HVP is not quite the same thing as MSG, it does contain the compound and should therefore be avoided if you experience negative symptoms from MSG consumption. Though it is chemically created, HVP is originally derived from vegetable products and is therefore considered (by manufacturers) to be a natural flavoring. This is not only potentially misleading, but it can be frustrating and even dangerous for consumers looking to avoid chemical additives. It's important to consult a doctor if you believe you are having any food-related health issues. There is a small portion of the population that is particularly sensitive to even small amounts of MSG. These individuals should check the labels to ensure that there is not any HVP listed in the ingredients list. On March 4, 2010, the FDA released information about a confirmed Salmonella Tennessee contamination of HVP, manufactured by Las Vegas-based Basic Food Flavors, Inc. According to the FDA's website, an investigation into this issue is still ongoing. Salmonella is a serious and sometimes fatal illness that can particularly affect young children. It's important to note that HVP is no more susceptible to Salmonella contamination than almost any other food that may come into contact with these bacteria, and that as a whole HVP is not considered a danger or carrier of Salmonella. Remember that HVP on its own is not a natural ingredient just because it is derived from plants; the amount of processing it undergoes negates that fact for many people. If you are trying to avoid MSG or HVP, be sure to check your labels, and don't be afraid to ask questions when dining out; you can never be too informed.